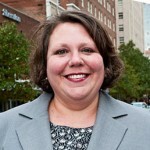 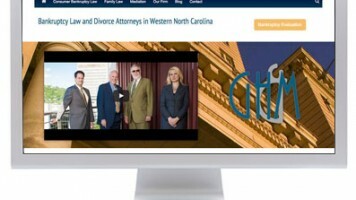 Gina has been an invaluable resource for our law firm. 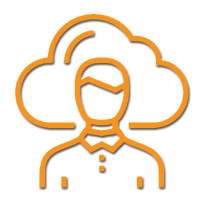 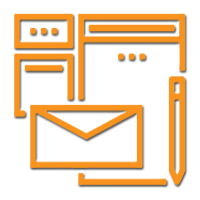 Gina is very knowledgeable about legal marketing and the most effective ways for us to reach prospective clients. 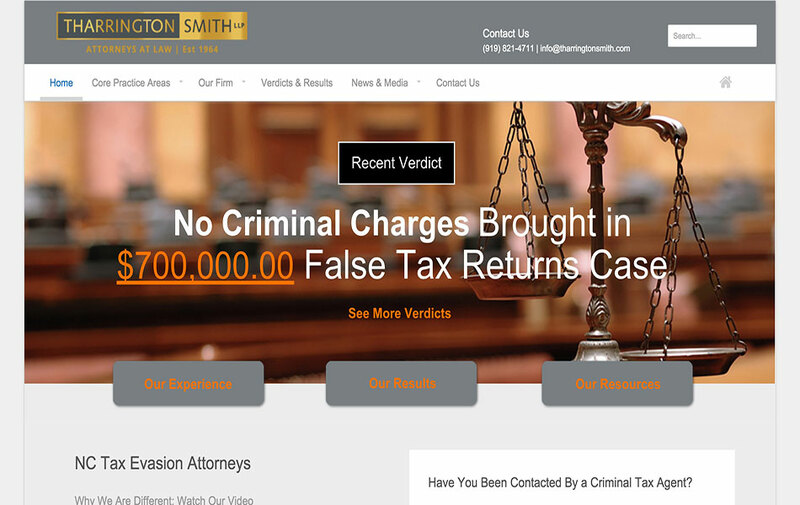 She has increased our web presence by helping us to create content, enhance our individual attorney profiles and peer review status, and to increase the firm’s publicity through social media, advertising, and press coverage. 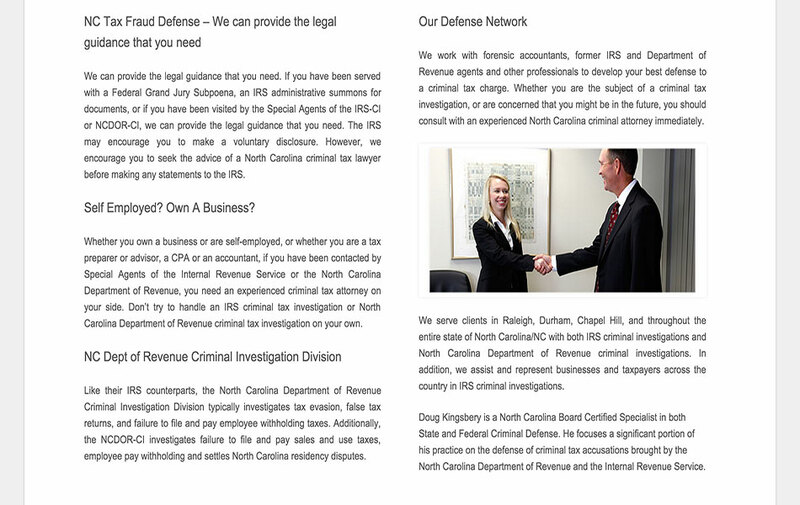 Her agency provides professional and responsive service to our firm as a whole and to each of our lawyers individually. 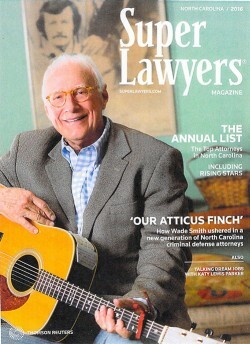 Thank you for the vision you had that maybe I could be a cover-boy. 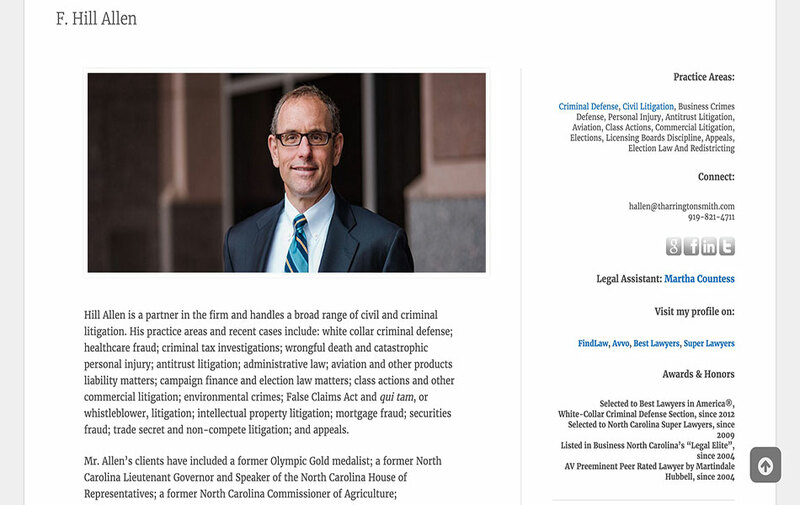 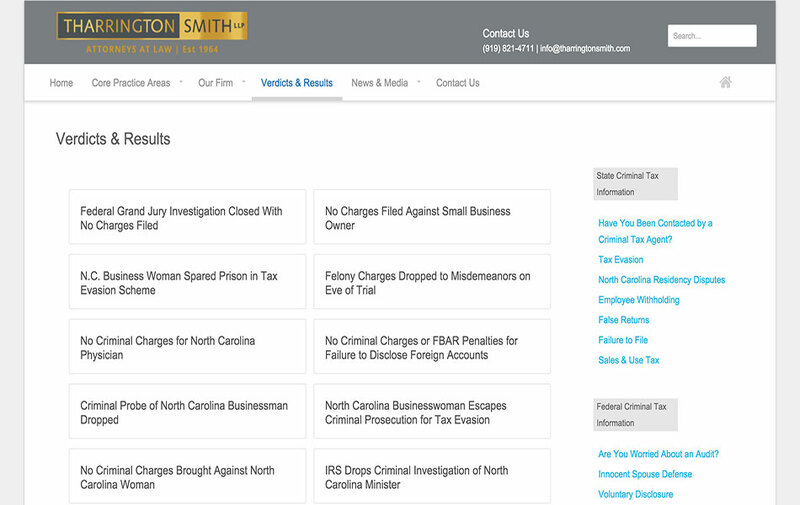 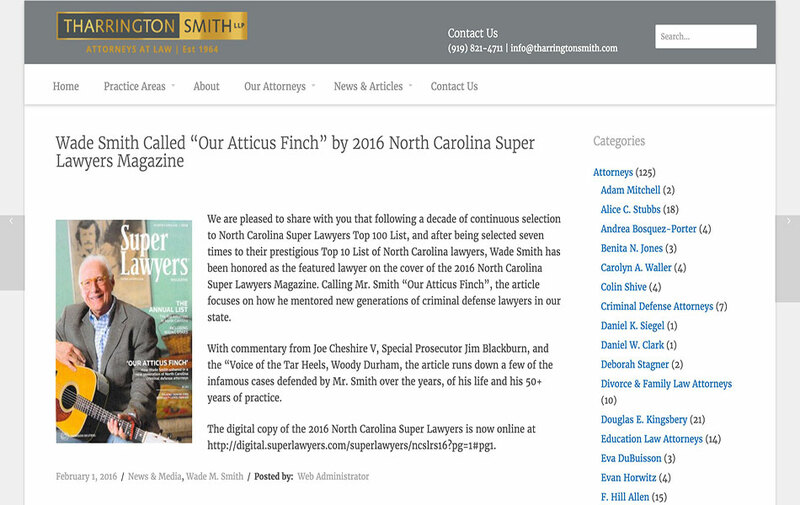 The Raleigh firm of Tharrington Smith is our first experience of working with 36 lawyers under one roof. 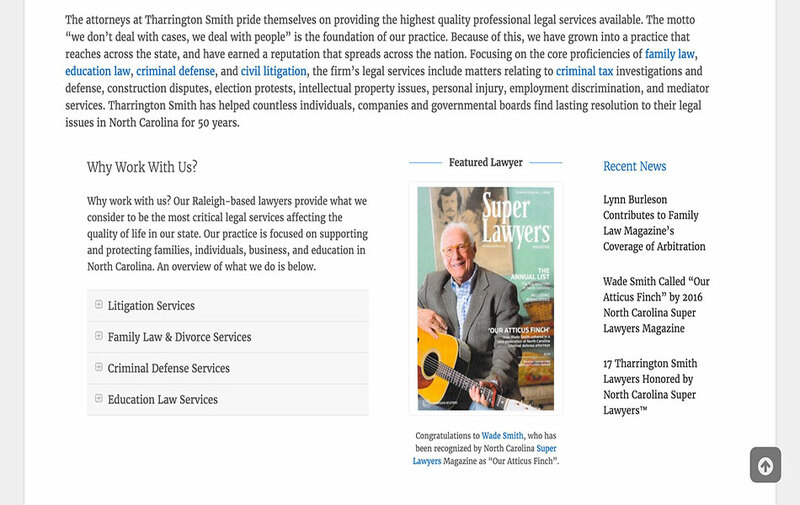 Tharrington Smith is a traditional southern law firm, built on a standard of superior service and passionate representation. 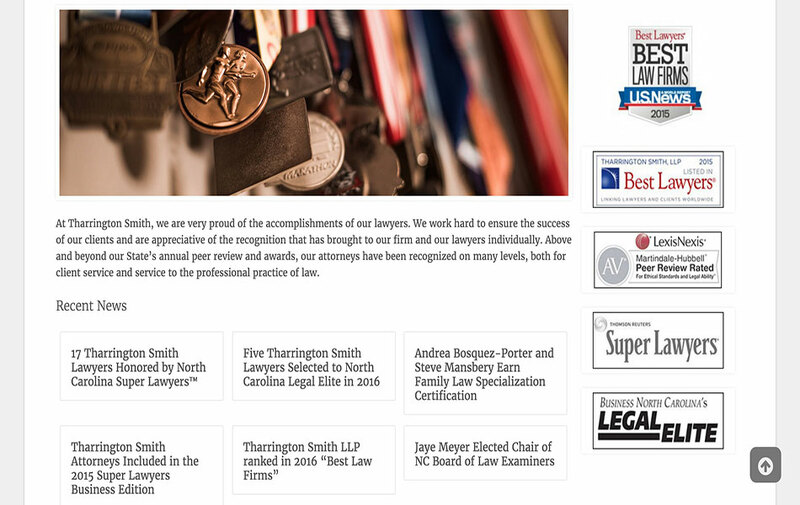 Comprised of some of the brightest legal minds in their individual fields and the young attorneys they mentor, this firm has thrived on a reputation of excellence since its inception in the early 60s. 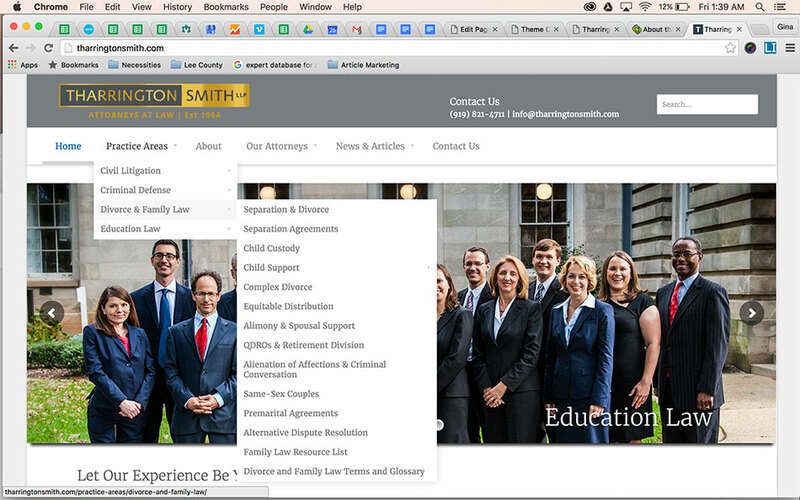 Our strategic plan for the firm was to build its digital real estate. 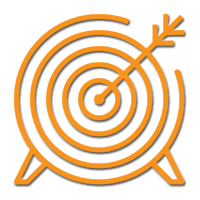 This was tantamount to eating an elephant, and so we approached the process one bite at a time. 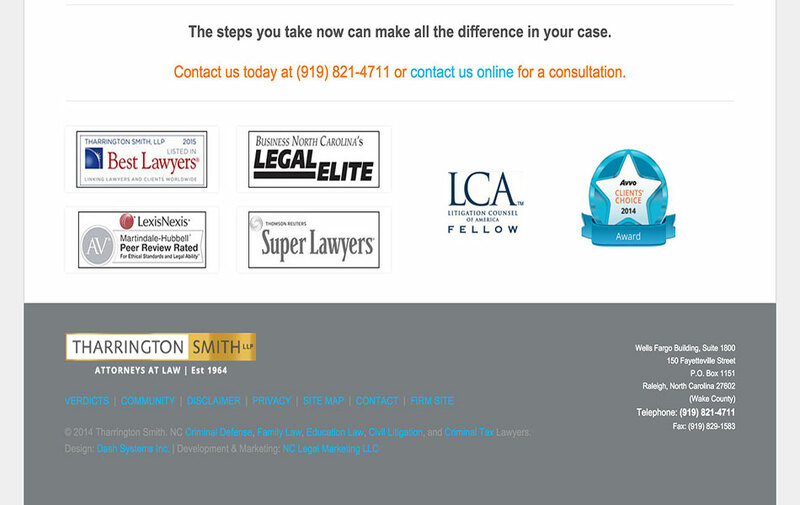 We began with development of a highly organized website that works dynamically for 36 lawyers and four core practice areas. 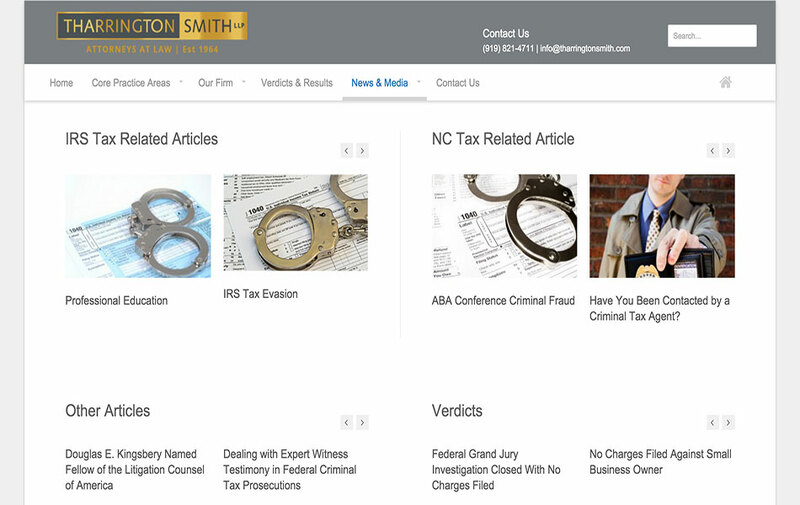 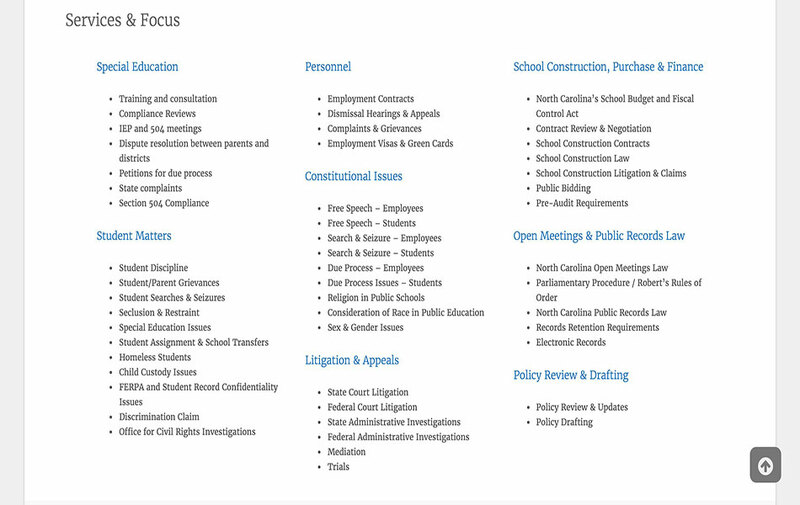 We helped the firm manage firmwide and individual lawyer publicity, peer review, build their individual professional profiles, and manage reputation and client reviews. 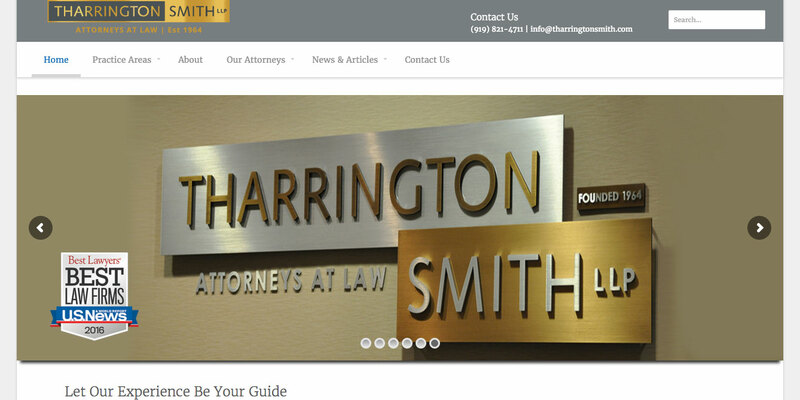 The entire process of marketing the Tharrington Smith firm has been a wonderful experience for our crew. 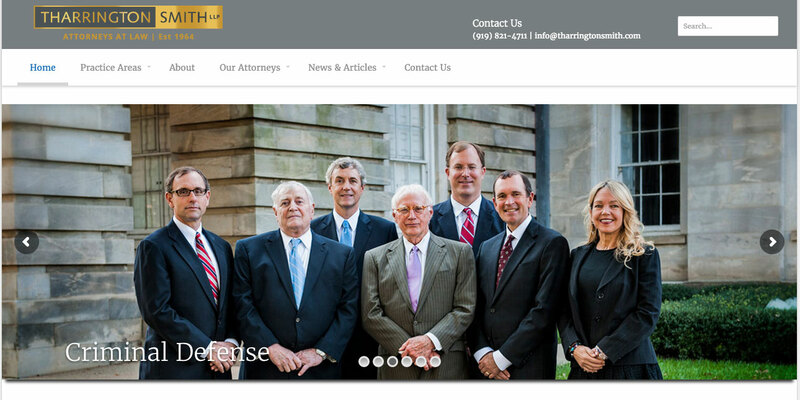 We are so very lucky to work with people of this caliber.